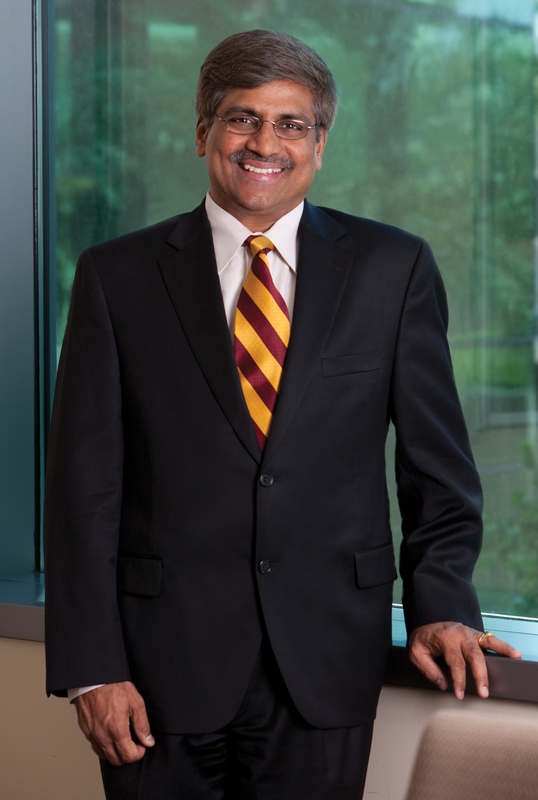 Sethuraman “Panch” Panchanathan, senior vice president for Knowledge Enterprise Development at ASU, has been named a Fellow of the National Academy of Inventors. Election to the fellow status is a high professional distinction accorded to academic inventors who have demonstrated a prolific spirit of innovation in creating or facilitating outstanding inventions that have made a tangible impact on quality of life, economic development and the welfare of society. Academic inventors and innovators elected to the rank of academy fellow were nominated by their peers for outstanding contributions to innovation in areas such as patents and licensing, innovative discovery and technology, significant impact on society, and support and enhancement of innovation. Panchanathan holds four U.S. patents that solve fundamental problems in multimedia. For example, he has developed a face classification system using curvature-based multi-scale morphology to classify an image by its most distinguishing features. Another invention is a method for tracking objects from a video sequence by selecting regions that contain the objects of interest in the first and the last frame. And he has developed a method to produce a reconfigurable circuit device for running a computer program of moderate complexity, such as multimedia processing. Panchanathan has received two Microsoft Imagine Cup awards, the Governor’s Innovator of the Year for Academia award and the ASU Leadership Award. He has published or presented more than 400 papers in refereed journals and conferences, and is a fellow of the Institute of Electrical and Electronics Engineers, the Society for Photo-Optical Instrumentation Engineers and the Canadian Academy of Engineering. Currently, Panchanathan serves as an associate editor for several journals, including the International Journal on Advances in Internet Technology. He is also co-authoring a book, “Haptics: Background, Technology and Applications,” to be completed in December 2015. Together, the 143 innovators elected to fellow status hold more than 5,600 U.S. patents. Included in the 2013 class are 26 presidents and senior leaders of research universities and non-profit research institutes, 69 members of the National Academies, five inductees of the National Inventors Hall of Fame, six recipients of the U.S. National Medal of Technology and Innovation, two recipients of the U.S. National Medal of Science and nine Nobel Laureates. The fellows will be inducted by Deputy U.S. Commissioner for Patents, Andy Faile, from the United States Patent and Trademark Office, during the 3rd Annual Conference of the National Academy of Inventors in March. 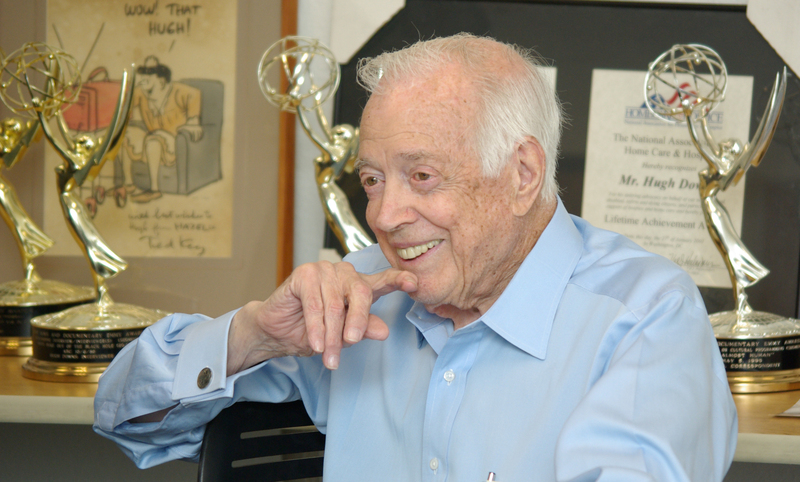 Broadcaster Hugh Downs, one of the most familiar American figures in the history of television, has donated more than 650 of his personal and professional items to ASU. Broadcaster Hugh Downs is one of the most familiar American figures in the history of television. His work on “The Today Show,” “20/20,” as a reporter, anchor and game show host for “Concentration” made him a household name. Downs holds the Guinness world record for the most hours of network airtime in the 20th century (10,637 hours from 1951-1999). One of the most personal items in the collection, said Downs, is a sextant. It was purchased by his children as a birthday gift for his crossing of the Pacific. It took Down’s four years to plan his adventure. He set sail from Ft. Lauderdale in 1965 headed for Tahiti, a distance of 3,400 miles. His book “Shoal of Stars” was based on his ship’s log and published in 1967. A first edition of his book is also included in the collection. The Hugh Downs Collection is intended to promote the pursuit of undergraduate and graduate studies related to the field of human communication, promote constructive dialogue and scholarly research related to the life and career of the school’s distinguished namesake, and generally promote the effective communication between individuals in all aspects of life. To learn more about Downs and the items in the Downs Collection, please visit the new interactive College of Liberal Arts and Sciences (CLAS) Magazine app with videos, photo galleries and audio clips. If you do not have an iPad or tablet, read more here. The Hugh Downs School of Human Communication is an academic unit in ASU's College of Liberal Arts and Sciences.